CPTRAX allows you to graphically analyze Active Directory changes and File System activity. Choose from multiple graph and chart types to effectively digest data. Combine multiple graphical reports to gain better insight into what is occurring on your servers. 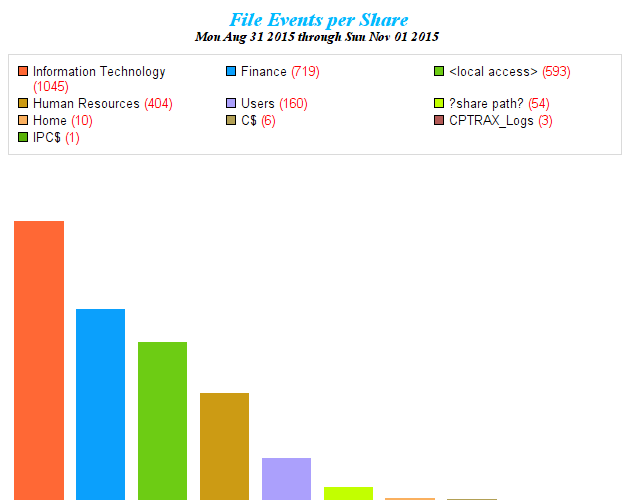 Graphs can be saved to a single HTML file and easily shared. Schedule routine graphical reports to be automatically sent to people who should review them. Multiple graphical reports can be scheduled.